The SBA Management Group has negotiated numerous contracts, domestically as well as internationally. We understand the salary caps, the collective bargaining agreements, and how to structure contract incentives to provide bonuses that can far exceed the underlying contracts. 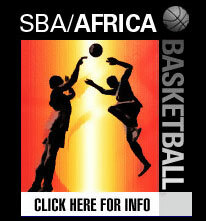 The SBA Management Group has experience negotiating with the NBA, USA Basketball Minor Leagues (NBA D-League, CBA, IBL, USBL, ABA, PBL), as well as the top basketball clubs in Europe, Asia, Australia, and South America. In any contract negotiation, the professional athlete must be assured that irrespective of injuries or other setbacks that the athlete's job and financial security have been maximized to protect against unscrupulous teams and unfortunate circumstances. The SBA Sports Group staff’s negotiating savvy becomes a vital instrument in guaranteeing our players the most effective strategies at the bargaining table. The SBA Management Group recognizes that preparing for the draft and gaining the best possible draft position is an extremely important component to the draft itself. We are able to advise our clients on interviewing techniques and questions used by NBA general managers and scouts. We give counsel on the proper attire and etiquette to be displayed at dinners, social functions, and all related public appearances to insure that our client makes the best impression on his potential employers. We advise our clients on the specific skills they need to enhance and the level they need to perform them in order to succeed. We have the privilege of working with the finest trainers in the business along with state of the art facilities. Our trainers are aware of the drills that NBA personnel employ at their individual workouts and at their combines. Our clients will also have a thorough knowledge and familiarity with the workout process and specific drills that will be expected of him/her. We create a family atmosphere where our clients, including seasoned veterans, are available to one another as workout partners and mentors. Our ultimate pre-draft job is to maximize your draft value and to know who is going to select you before the actual draft. The marquee caliber of players SBA Sports Management Group seeks to represent will provide tremendous leverage and marketing plans with professional sports marketers, licensees and licensors. We pursue the regional marketing strategies and opportunities; analyze the national and international promotional opportunities and personal appearances. Our marketing approach is comprehensive and extremely thorough at every level of a client’s career. We explore every income-generating avenue that exists. Additionally, we encourage and facilitate our athletes to establish charitable foundations and other community-out-reach programs to increase our client’s public exposure. Through its association with a number of financial institutions and advisors the SBA Sports Management Group can assist our clients with securing their futures by coordinating a professional athlete’s financial affairs, including everything from tax planning, investments, insurance, post-career planning, real estate development, venture capital, trusts and cash flow projections. Our associates are registered investment advisors with over a billion dollars under management. Our level of participation in the player’s financial affairs is always at the option of the player. The SBA Sports Training team consists of the most highly qualified staff including certified and nationally respected trainers, former NBA and collegiate players. Our staff deals with the specific needs of our clients. We quantify our training methods with an individualized program that is position oriented and tailored for your specific needs. The comprehensive training includes a nutrition regimen along with weight and strength program to help offset injuries and to build the body and mind to excel on the highest level of competition. The former NBA players give a tutorial of the physical and mental rigors of professional basketball as well as explain the mental and physical mechanics of each position. The SBA Sports Training utilizes a holistic approach to not only train the body for the NBA, but more importantly, we train the mind and the spirit for success. Whether our clients are 18 year-old professional basketball rookies or 35 year-old veterans, we will provide the same personal and consistent attention in regards to their career management. We begin by evaluating your strengths and weaknesses and determining the best possible course of action for your improvement. Our aim is to guide and motivate you to garner the most out of your talent and abilities. Part of our career management is to counsel our clients on opportunities off the court and how to enhance and expand their ability to make money, even after their playing days are over. Since the average career of an NBA player lasts 3 to 4 years, we advise our clients to take an active interest in developing a supporting enterprise. As a fiduciary agent, we will help you find the right enterprise and help you make the most of your career after sports. Your life after basketball will probably be a lot longer than your career in basketball. Our clients who are not under contract with a professional team will have the additional benefit of participating in SBA sponsored Exposure Camps where General Managers, Coaches and Scouts from leagues domestically and internationally will be on hand. Our clients are guaranteed to be showcased each spring/summer to practically every pro league in the world. Our clients will also be placed on a summer league team roster for additional development and showcasing. These games and their video footage will be used to answer any concerns about your talent, attitude or former injuries. Our worldwide video distribution system is in place to allow your skills to be seen by coaches/teams around the globe. If you have talent, we will expose you! !